Brian Gale Surveyors are a team of independent chartered surveyors drawing from extensive experience throughout the UK in order to provide clients across Putney and further afield with essential and professional advice on a property purchase. With experience in surveying all property types, including historic properties and properties of a non-traditional construction, we offer bespoke surveying services that are tailored to meet the needs of each client. It is essential to have all the relevant information needed when looking at a property for purchase. In many cases, buying a property will be one of the most important investments you make in your lifetime, so in order to prevent potentially nasty surprises later on in the purchase process, an in depth survey or report is always recommended. A professional surveyor will be able to identify any major defects or potential issues regarding the condition of the property in question, and will also offer expert advice on how to deal with these issues. This allows each client to make an informed decision on a property purchase. Since our establishment in 1985, the professional team at Brian Gale Surveyors have worked tirelessly to create a stunning reputation for honest and in depth surveys across Putney and the surrounding area. In addition to a number of other property related services, we provide comprehensive reports and surveys that give an accurate assessment of the condition of the property in question, allowing clients to proceed with all the information they need. Our countless happy clients in Putney can be seen from the positive testimonials and reviews which can be found on our website. With a dedication to helping both old and new clients, we offer advice on a range of services, from full building surveys to building disputes and more. 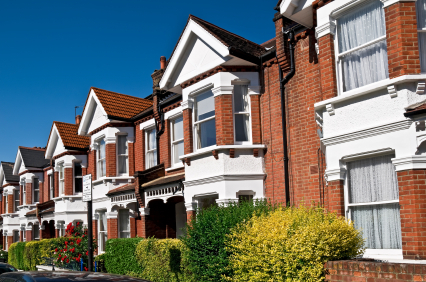 We also provide advice on behalf of both landlords and tenants, drawing from experience in surveying properties across London, Sussex and Surrey, where we can apply local knowledge to property surveys in order to ensure accurate results, every time. Brian Gale Surveyors offer a range of surveying services designed to assist clients throughout the Putney area, by providing advice drawn from experience in surveying local properties. We also provide a range of other property related services, from schedules of dilapidations to lease extensions and even project management services for commercial clients. By offering a selection of different property related services, we can ensure complete client satisfaction in a wide variety of property matters. From lease extensions and boundary disputes to construction project management for both commercial and industrial clients, Brian Gale Surveyors offer expert advice and assistance on a wide variety of different property related services. Whether you are looking for situation specific advice on a property purchase, or you would like to find to more about another service we provide, please do not hesitate to get in touch with us today. We are dedicated to helping all clients, both old and new, and focus on ensuring complete client satisfaction in every service we provide. We operate throughout the South East of England covering London, Surrey and Sussex, with a wealth of experience across Fulham, Sutton, Morden, Wimbledon, Kingston, Richmond and Mitcham. Call us on 01737 245947 to speak to a member of our professional team who will be happy to help with any question you might have, or email us at sue@briangalesurveyors.com and we will get back to you. You can also fill out the quotation form below for more information. We hope to hear from you soon.